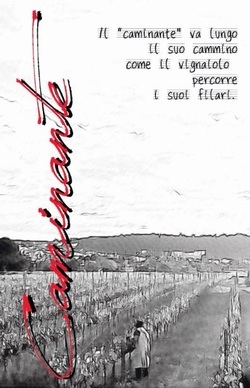 Provenance: Supersano (Lecce), Countryside of Ruffano. Exposure: In summertime during the ripening period of the grapes, the hill named "Madonna della Serra" covers the sunlight 2 hours prior to sunset. This generates a daily range of temperature between 10ª and 15ªC, allowing the development of a significant amount of polyphenols on the bunches of the grapes. Altitude: 350 meters above sea level. Soil: The soil is red, due to the presence of iron hydroxide, aluminum and clay minerals (especially illite and kaolinite) and to the significant amount of organic substances from compost. Training System: The vines are trained by the spurred cordon. Spontaneous grassing has been introduced and in the months of July and August, when the temperature is above 40ªC, a little harrowing is performed. Vinification and Maturing: the grapes are handpicked very early in the morning end of September and collected in 20kg perforated baskets and carried to the cellar. The grapes are then crushed and left to macerate on their skins for 8 hours at controlled temperature. After soft pressing the fermentation process goes on for 15 days at a 30ºC temperature. Refinement: Grapes age on their fine lees for 2 months into a stainless steel tank. After the devatting process, aging goes on for 6 months in a tank and for 6 additional months in bottles at a temperature ranging between 10º and 15ºC. Aging: Aging can last up to 2 years if the wine is kept at a temperature between 8ºC and 18ºC. Organoleptic characteristics: Vivid pink; delicate and fruity bouquet, balanced and crisp taste. Serve with: An excellent accompaniment to starters, first course dishes, tomato sauce based dishes, white meats, fish soups, grilled fish dishes.